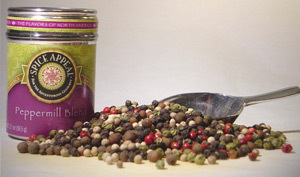 This festive, colorful blend of black , white , pink and green peppercorns, gives a wonderful flavor to any dish that would call for fresh ground pepper. Use to flavor fish, poultry, vegetables and soups. Adds color and beauty to any peppermill.